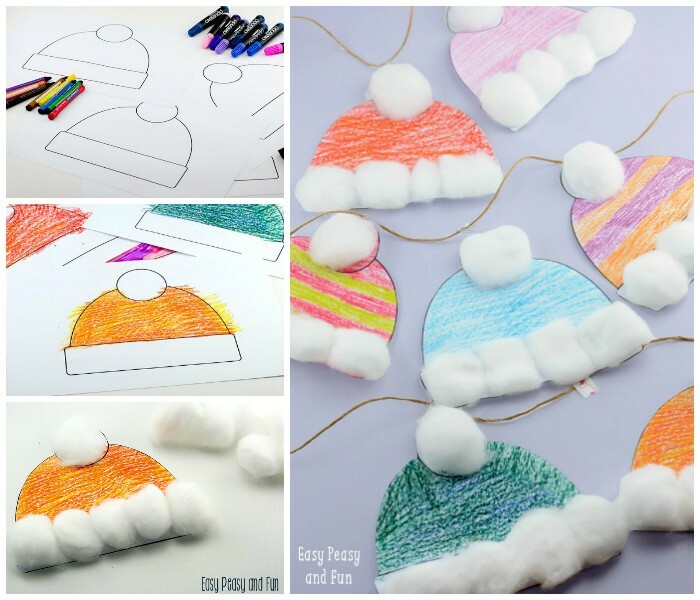 This one is one of the cutest activities we’ve been up to, we’ve made winter hats craft for kids to make and it’s a perfect classroom craft for young ones as it’s easy to set up and quick to make. 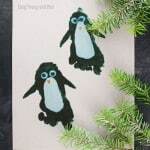 This one is perfect kindergarten, preschool or toddler craft for winter months, it let’s them get creative and is a fun fine motor practice. As the temperatures drop, there are more and more days when kids are stuck inside, either because it’s too cold or because all of the clothes are soaking wet from the outdoor play. 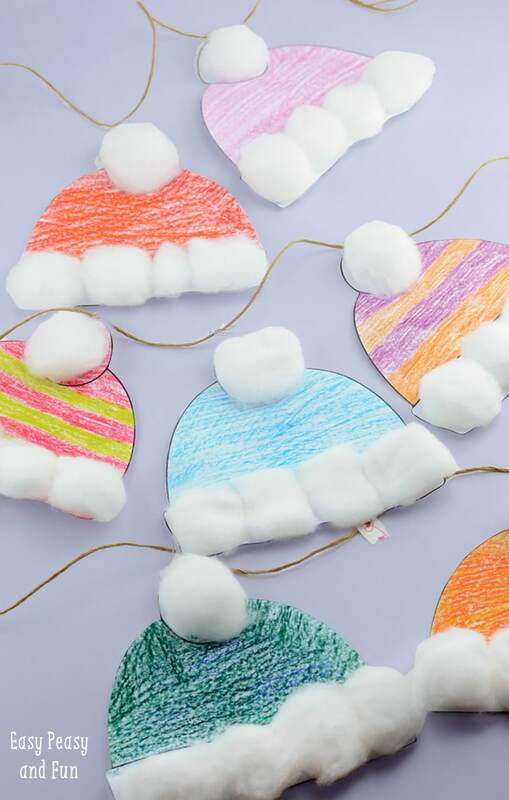 When the “indoor” time comes and you need a boredom buster, or a simple project to make a great looking bulletin board or display for your classroom this winter hats craft is once to make! 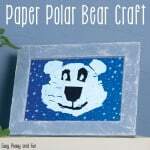 I’ve made a template for this craft you can print so this one is really minimum prep. 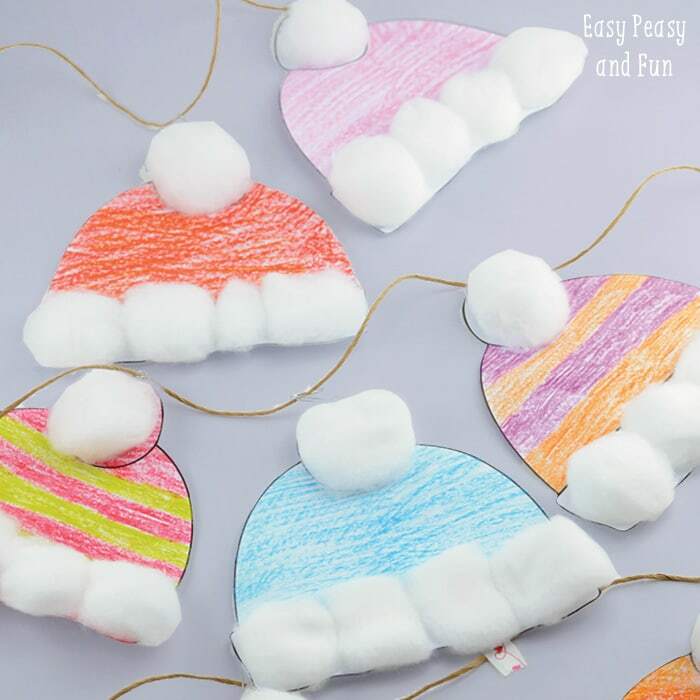 Print out the templates, have the kids color them in or decorate them with other materials (tissue paper, torn paper…) and to top it up decorate the paper winter hats with cotton balls or paper. Glitter is always a nice addition (biodegradable being our choice). Print as many copies of the hat template as you need. You can have the kids do more than one as they are really quick to make. You can grab the template at the end of this tutorial. 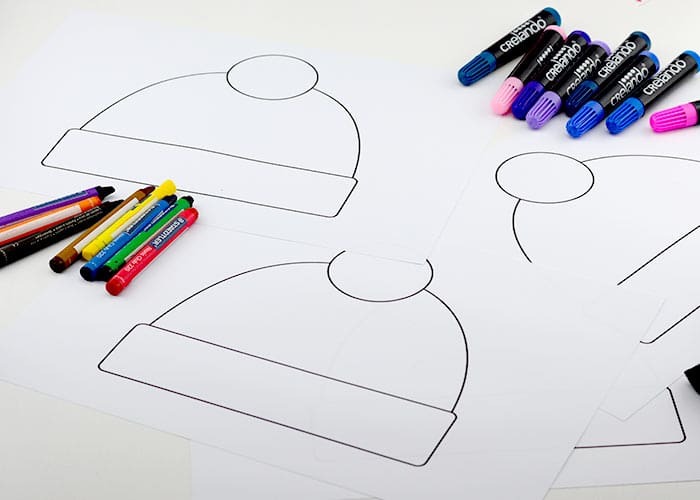 Let the kids color the hats, coloring outside the lines encouraged naturally as its fun! We decided to go with crayons as they make a really nice texture (and are easy to use). 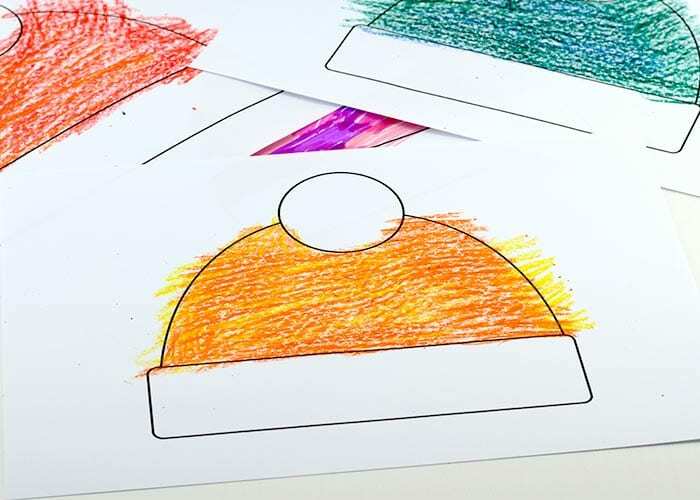 Some other fun ways the kids could color the winter hats are by using their fingers, tearing magazines and gluing torn pieces on the hats, using stamping (potato or stamps…), watercolors (combined with crayons or salt to explore watercolor techniques) and so on. 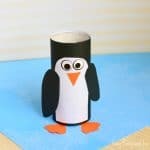 The best way to do this crafting activity is to offer as many “coloring” materials as possible to kids or students. Once kids have colored the hats, cut them. 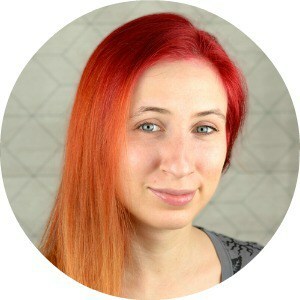 Cutting is done either by you for them or by them for themselves, again depending on the age group. Now for the fun part! 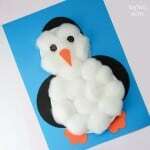 Add glue on top and bottom of the hat and stick cotton balls to it. 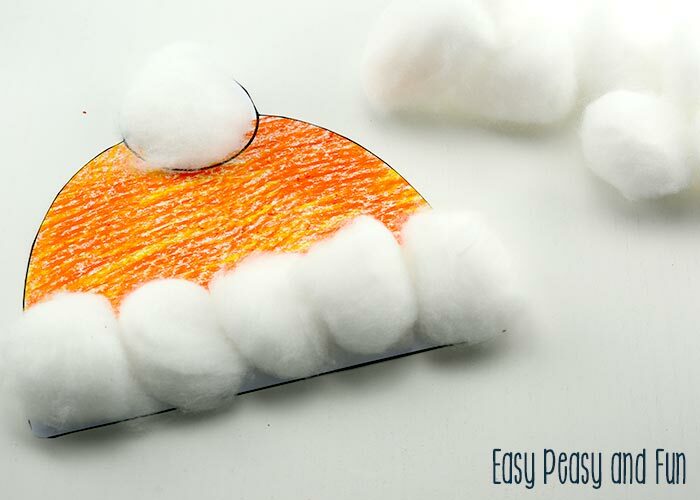 It will really make this winter hat craft pop! 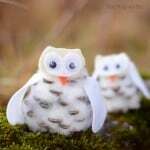 They look fun on their own, but hang them on a string and they are even cuter. 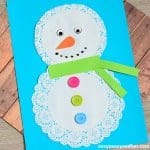 We’ve done quite a few crafts for the little hands, like this cotton ball snowman or even this snowman creation station craft.